A Rough Collie breed, Lassie‘s classic character first appeared in “Lassie Come Home” novel, a character created by Eric Knight in 1940. The novel proved so popular that a filmversion was made in 1943, in which the male dog Pal played the female Lassie—a gender-bending role that he would continues in six more films and two television series. This story is about an intelligent, heroic collie and his young owner going through life’s obstacles, experiences and adventures. It also delivered about loyalty, honesty, perseverance, poverty, and loving or respecting animals. This is the best movie that parents can use to teach their children about loving kindness, appreciation and gratitude. When I was small in early 1990-s, the TV was showing the series Lassie once a week during the night time. Every week, I was so thrill when it’s time for the show and I cried if I missed any of the episodes. 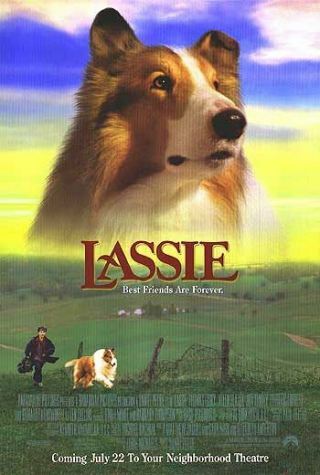 Lassie had bring me so much joys, excitements and passion towards dogs during my childhood. This passion continues and leading me to become a pet groomer today.